​As we launch our Emory Radiology 2018-2022 department strategic plan, “Designing the Destination,” there is a palpable excitement in the air. Our journey continues to lead us to build on our innovation culture through collaboration and fearless inquiry. At the heart of it all are the people of our department who make this a great place to be. Our shared focus on delivering patient-centered imaging care pushes us to continuously strive for excellence in all our missions. Investing in our people has served us exceedingly well. Our talent is both locally grown and from all points of the globe. Our intentional goal—to create a diverse and inclusive community—is a great source of pride. It makes us stronger, more creative, and better suited to meet the changing needs of academic medicine. Notably, this year we launch the tenth class of the Radiology Leadership Academy, which is our flagship program for bringing out the best in new department leaders. Our quest for caring for a growing patient population can challenge and geographically fragment our resources. 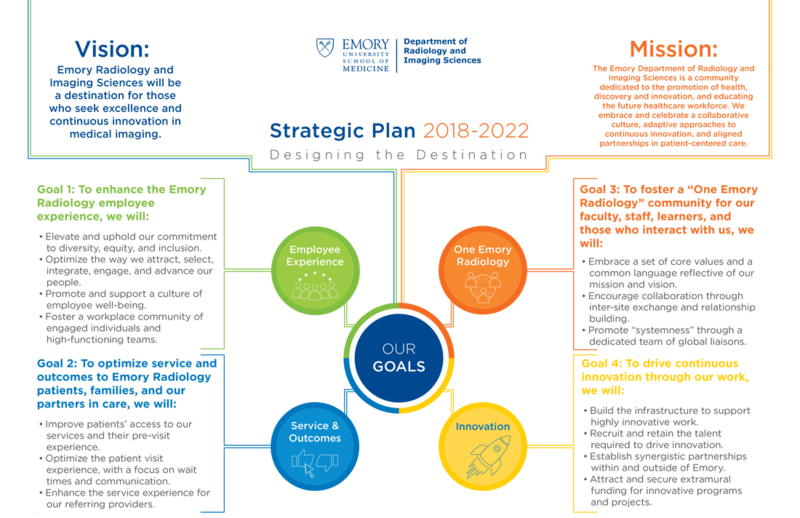 In our strategic plan, we commit to ensuring a cohesive One Emory Radiology environment, which is the essence of what makes our institution and department exceptional. As always, the health and well-being of our patients drives us to great heights. 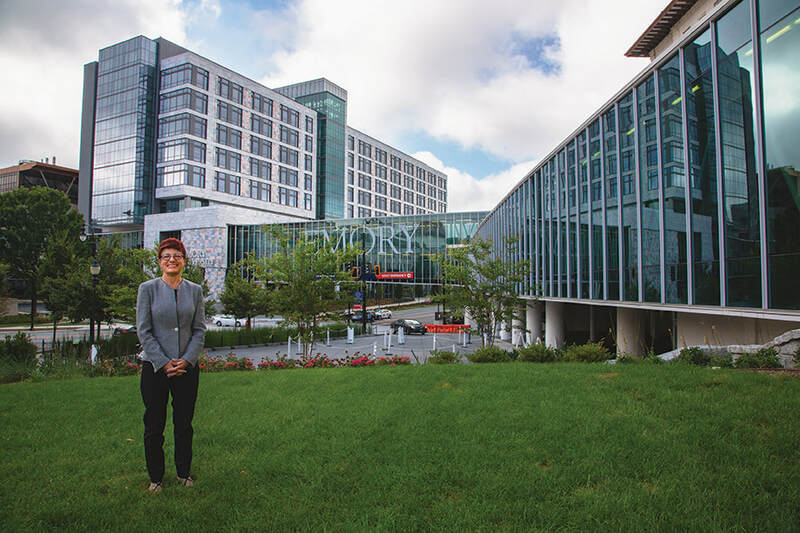 Emory Radiology is known internationally as a recognized leader in pioneering novel imaging techniques and technologies to diagnose and treat a wide range of health issues and in training a new generation of clinicians and researchers to lead through innovation. The Department of Radiology and Imaging Sciences is an integral partner in patient care for Emory Healthcare’s hospitals, primary care clinics, and specialty care locations. The Department of Radiology and Imaging Sciences is known globally for its scientific accomplishments and strong leadership in translational and basic research​.